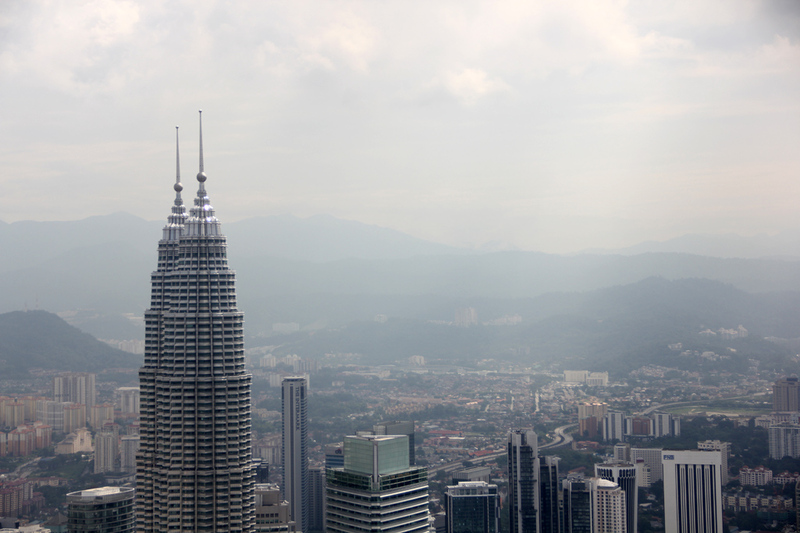 Towering above the rolling green tropical hills surrounding Kuala Lumpur are the Petronas Towers, the icons of the city. The twin towers look huge from far, much higher than the rest of the skyline. Up close, they are equally as spectacular, truly a remarkable feat of design and construction. Another one of Kuala Lumpur's skyline dominating structures is the KL Tower, one of the world's tallest communications towers. 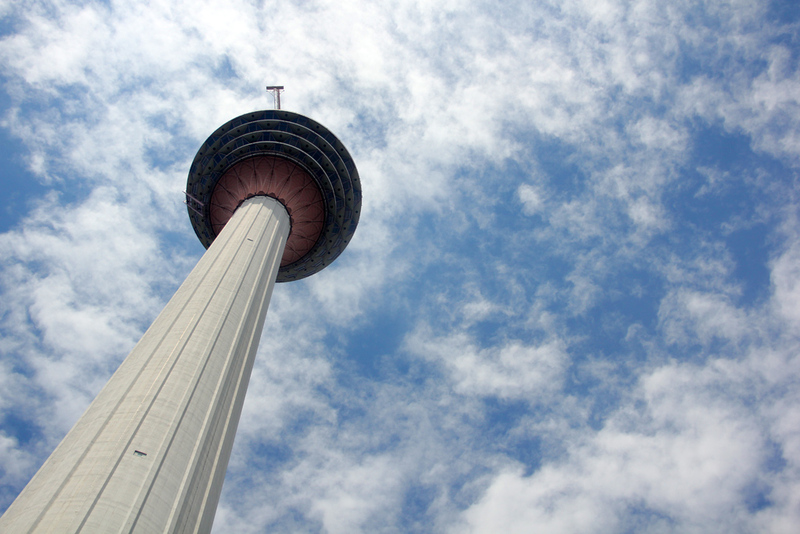 It's home to a number of restaurants at the top and also hosts the annual KL Tower BASE jump event. 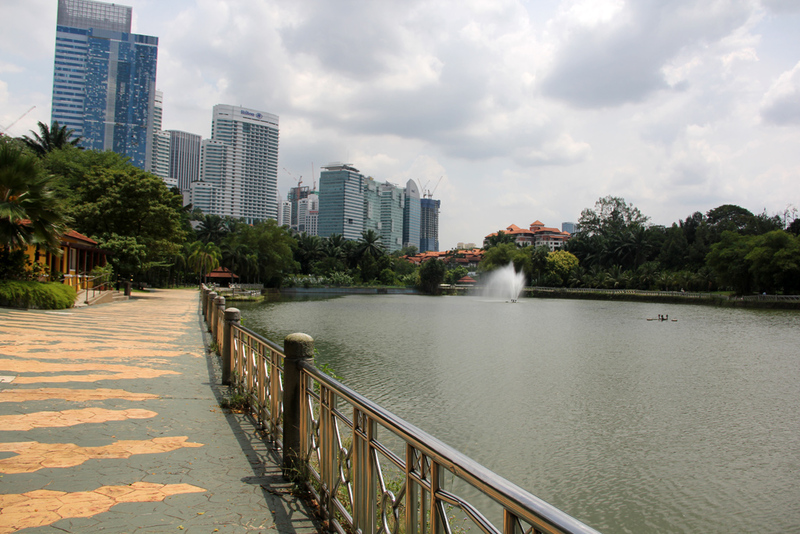 Adjacent to downtown are the KL Lake Gardens, a wonderful place to take a stroll and relax. It's hard to believe you're so close to sky scrapers when you're walking past lakes and gardens. 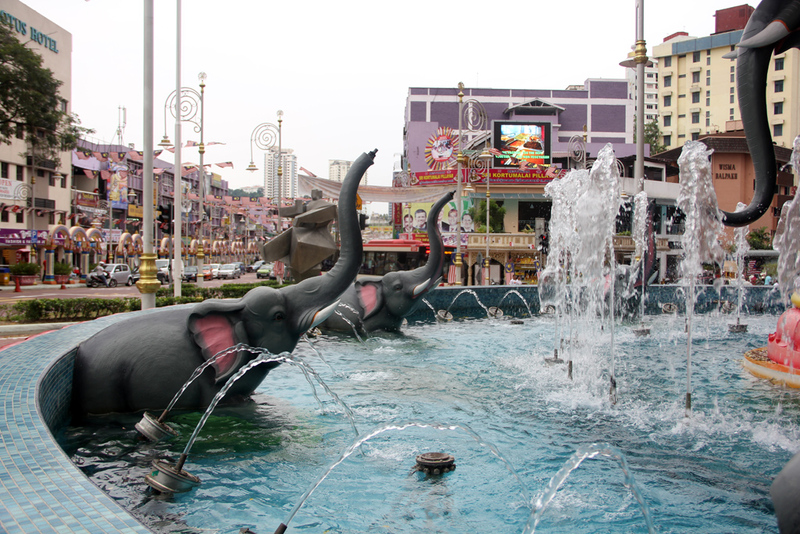 You'll also find the KL Bird Park, and the butterfly park in this area. 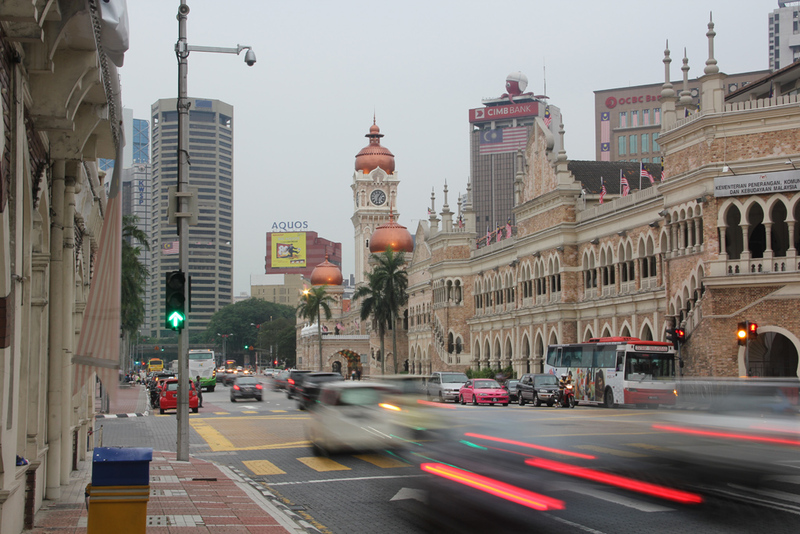 Another thing I like to do in Kuala Lumpur is walk through the historical district. There are some well-preserved buildings and sights to see. Little India is another wonderful area of Kuala Lumpur to explore. You'll find marvelous south Indian restaurants, markets full of produce, Hindu temples, and marigold vendors. 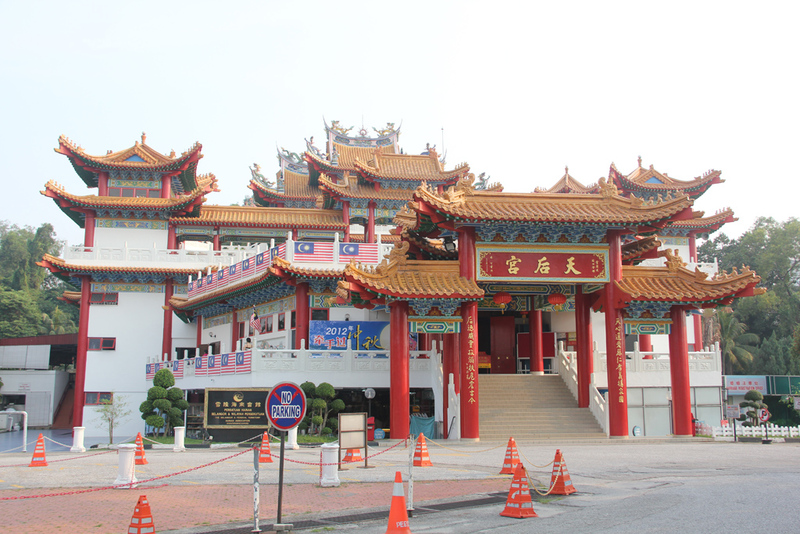 Another side of the city is the large population of ethnic Chinese, and the Thean Hou temple is one of the largest Chinese temples in the city. Located on the quiet side of the hill above Little India, you can get a great peaceful view of KL from the temple. 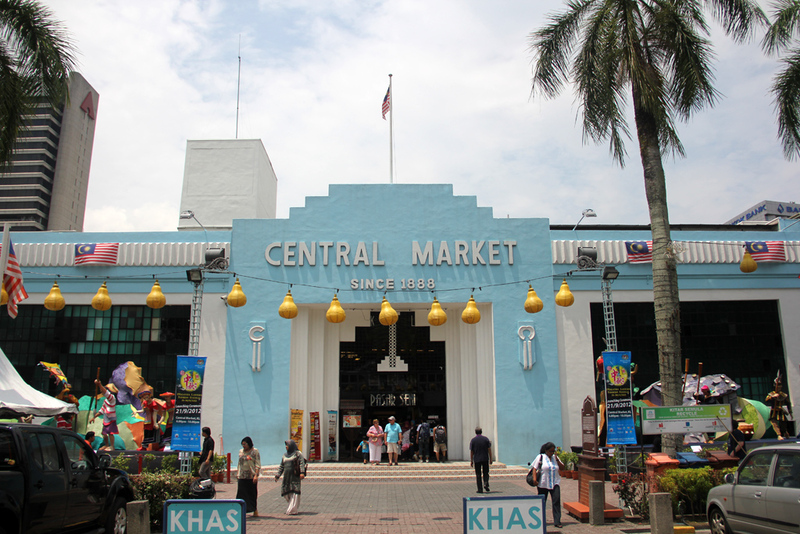 Central Market is one of the original markets of Kuala Lumpur. Though it's now mostly a touristy market mainly selling souvenirs, it's still worth a visit. 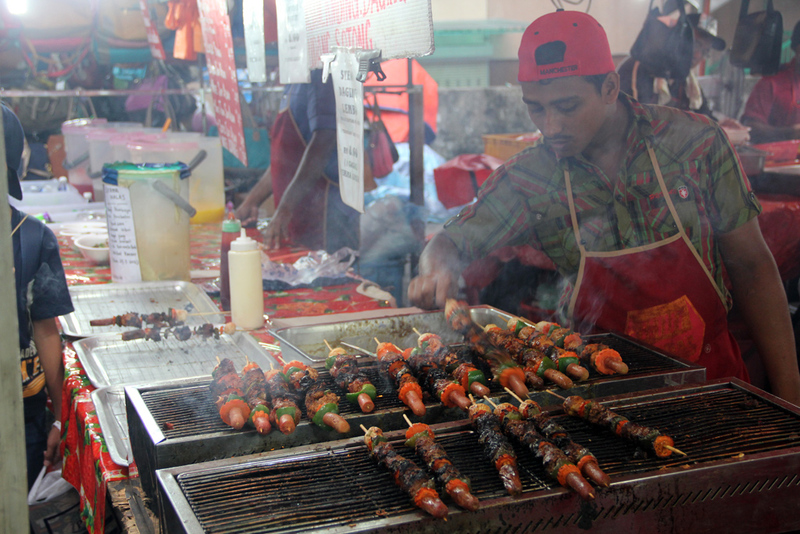 Food is without doubt one of the best reasons to visit Kuala Lumpur. 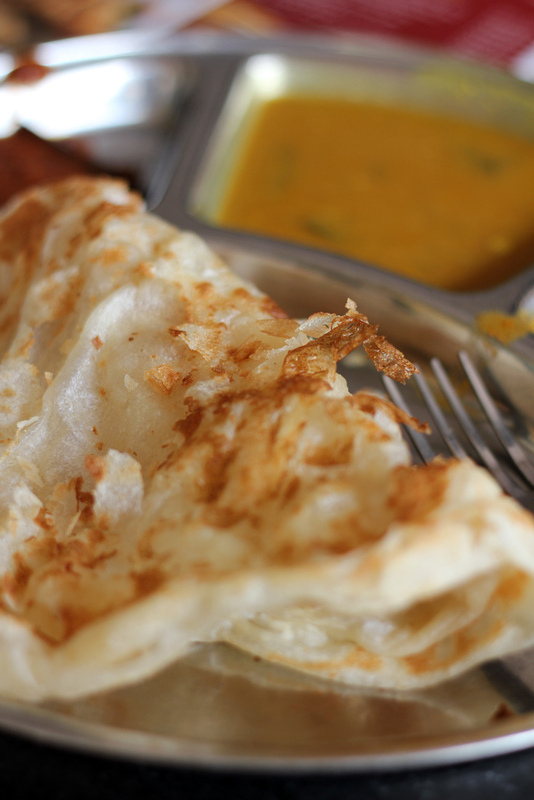 For a snack or breakfast, one of the easiest and tastiest things to find is roti canai, a fried flaky flatbread served with a curry dipping sauce. 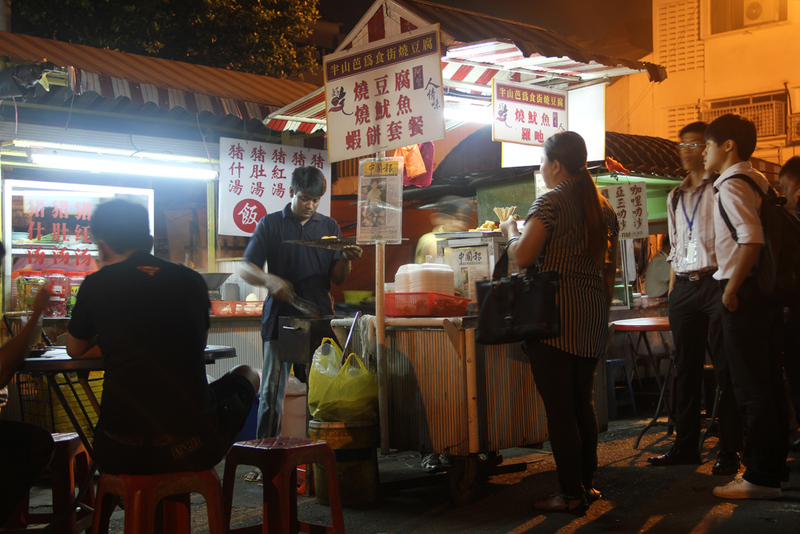 Jalan Alor is a street with great Chinese street food during the evenings, and Pudu Wai Sek Kai is another great street food option. 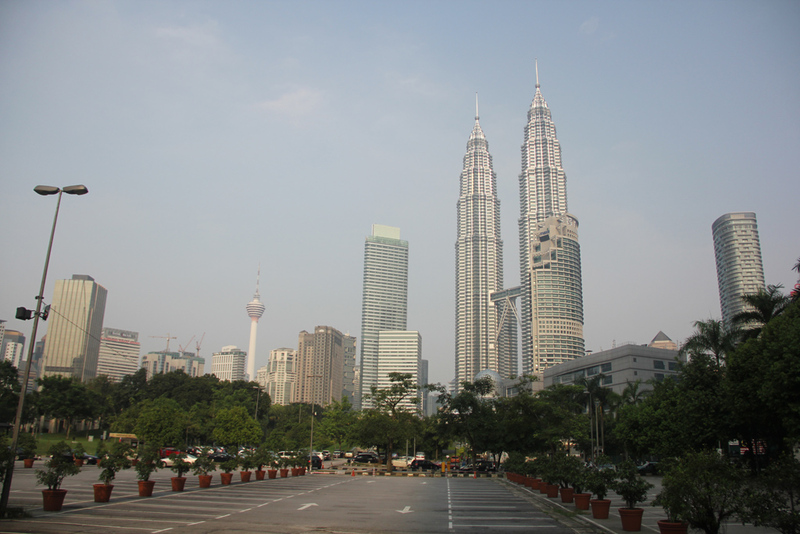 Kuala Lumpur is a city with everything from markets to sky scrapers, and modern facilities to ancient looking street food stalls. Though it's a big city, it has a friendly feeling, and it's a great place to explore and experience. Great tips on KL! I will definitely be adding this post to my list of things to see and do when I visit KL. I wish I’d had time to make it there while I stopped over in Singapore. Oh well, it’s a good reason to go back to that area! Hey, Mark! Fabulous pictures! Thanks for sharing. You really made a nice job. Now I want to visit all those tourist attrections as soon as possible.